What’s New In ClearEvent This Month? March has been a busy month for the ClearEvent Team and we’re excited to announce a number of new and highly requested product features that are available today! 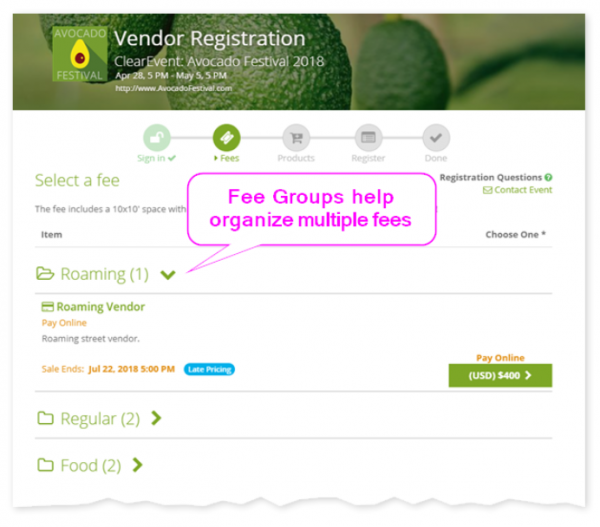 Quickly copy an existing registration form between multiple events that you manage. 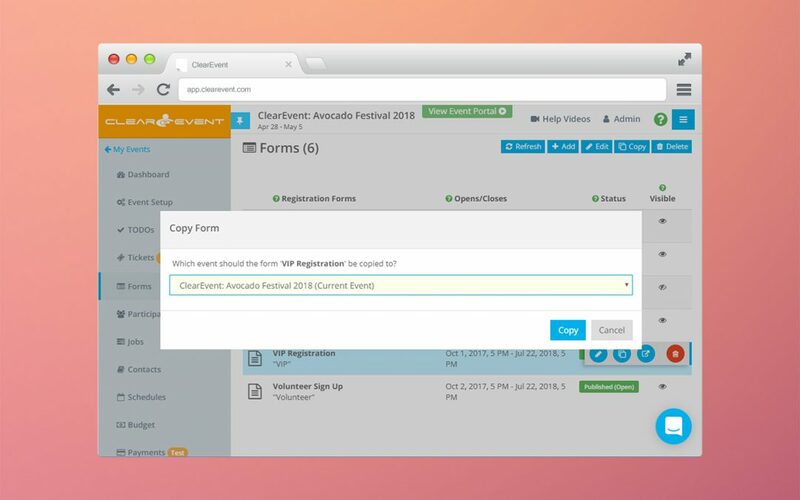 At the click of a button, you can now build new events using forms you created for previous or concurrent events as templates. Once you copy your registration form, just open the copied form and made any necessary adjustments needed. Offer promotional discounts on ticket purchases to encourage early purchases and increase sales. What Can You Do With Promo Codes? There are many benefits and uses of Promo Codes. Here are just a few ways you could use Promo Codes for your event. Create time-sensitive Promo Codes to encourage event guests to sign up early. Create special one-off Promo Codes for friends of your event, sponsors or special guests. Use different Promo Codes for various advertising channels to help track ROI. Organize multiple fees and customize which form fields & products are shown to registrants based on the fee they select during checkout. 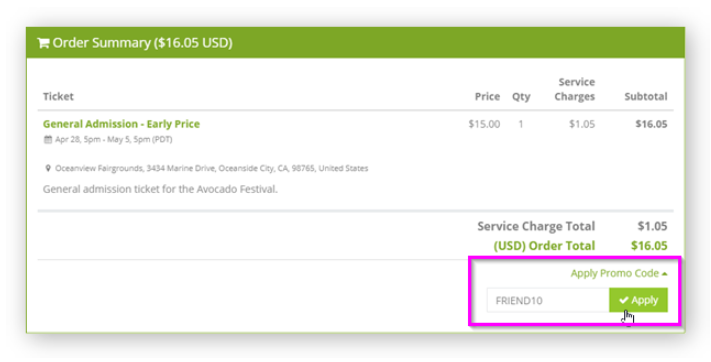 You can now sell both free and paid tickets to your event on the same ticket order. Even if you don’t charge to attend your event, or have a gate, setting up free tickets are a great way to help you collect and build your contact list for future events. If you have a chance, please jump in and try out these new features and let us know what you think! For a list of all recent release notes, click here.